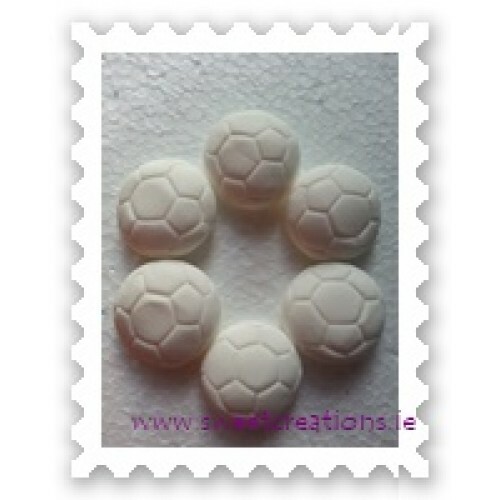 A pack of 6 edible footballs. All handmade and perfect for cupcakes or any celebration cake. €3.35 per pack.